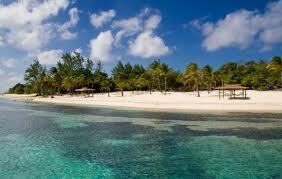 The Cayman Islands are a group of three islands in the Caribbean and is located about 1150 km south of Florida. The population is roundly about sixty thousand that is a huge trade with the US.In 1972 the Cayman Islands become a British possession. The Governor is appointed by the Queen of England and it directs the island government. The official and spoken language is English.There are several reasons why land sales increase almost every year and for many years it enjoyed a luxuriate economy with literally zero unemployment and it has been operating as offshore center. By registering offshore company in Cayman Islands entrepreneurs will benefit from the effective tax system and the developed financial structure. The Cayman Islands economy is dynamic and specializes in financial services and tourism. Construction of new homes, hotels and condominium projects keeps developers busy. Also the Island has a good infrastructure – Miami is one hour away by air and it has direct air links with New York, Atlanta, Tampa, Houston and Jamaica. Furthermore, the Islands are a popular cruise-ship stop. Discover the process of how to incorporate your offshore company step by step. Considered as an expensive jurisdiction. Well known as offshore jurisdiction.